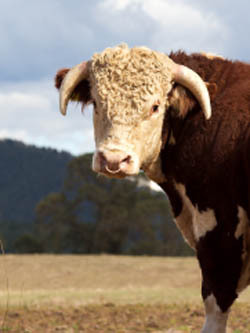 Pedigree Hereford herd, raised to produce top quality grass fed beef direct to the consumer. Quality care - quality stock - quality beef. We raise our Herefords traditionally, running small family herds on the farm all year round. We have available for sale Pedigree heifers either in calf to our stock bull, Auckvale Gameplan, or as yearlings. Please see our stock for sale page. Quality care – quality beef .